© 1998. Published by Canadian Human-Computer Communications Society. ISBN 0-9695338-7-X. 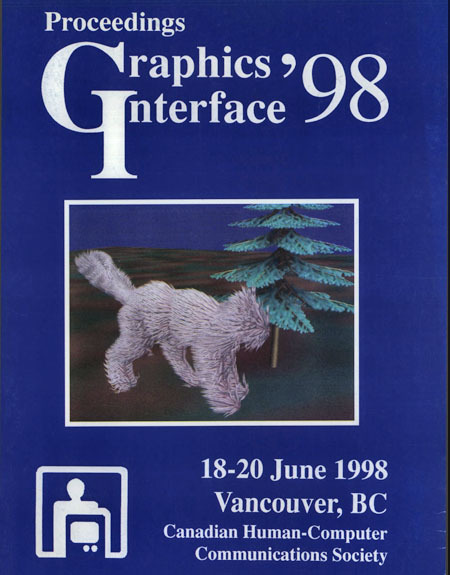 The twenty fourth Graphics Interface conference was one of a trio of major conferences – including Artificial Intelligence (AI) and Vision Interface (VI) – held in Vancouver, British Columbia. Holding these conferences jointly has helped to promote the interchange of ideas and to raise the profile of each conference. This year, the Michael A J Sweeney Award was given to the paper “Animating Sand, Mud & Snow’” by Robert W Sumner, James F O’Brien and Jessica K Hodgins from the Georgia Institute of Technology.